There's a tax break for parents who send their children to private elementary and high schools in the GOP tax bill making its way to the President's desk. It would expand the use of 529 savings accounts so that families can withdraw up to $10,000 a year tax free to use for "public, private or religious elementary or secondary school" expenses. Currently, money invested in 529s can be used for college expenses only. The change could help support school choice policies touted by Education Secretary Betsy DeVos. Senator Ted Cruz, who pushed to include the provision in the tax bill, said it "ensures that each child receives an education that meets their individual needs, instead of being forced into a one-size-fits-all approach to education, or limited to their zip code." He wanted to expand 529s to apply to homeschooling expenses, too, but that part was stricken from the tax bill late Tuesday. But allowing parents to use 529s to save for private K-12 expenses also has its critics. They say it's a handout to the rich, who already disproportionately benefit from the tax savings offered by 529 accounts. 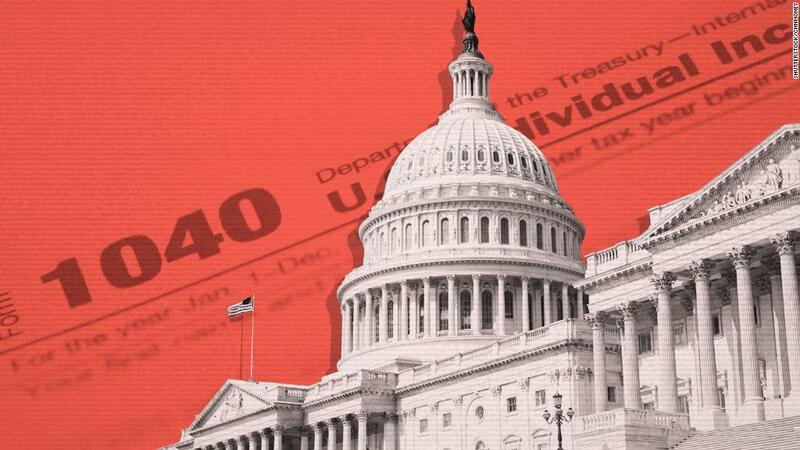 "I have yet to find a specific part of the tax code that is more skewed to the affluent than 529s," said Richard Reeves, a senior fellow at the Brookings Institution, a left leaning public policy organization. As one of his research papers notes, there are bigger tax breaks for the upper class -- like the mortgage interest deduction. But the benefit to 529 account holders "is a strong contender for the prize of most absurd tax break of all." Parents who used a 529 account in 2010 had about three times the median income of those who didn't, and were much more likely to have a college degree, according to the latest report from the Government Accountability Office. Families have to be affluent enough to save in the first place, Reeves said. No matter how badly poorer families want to save for education, it could still be difficult if they're living paycheck-to-paycheck. The biggest advantage to saving money in a 529 account is that you won't have to pay federal tax on your investment gains. Some states also allow account holders to deduct their contributions against their state income tax. While some parents can already save for private K-12 education in a tax-advantaged account called a Coverdell, wealthier families aren't eligible. Plus, Coverdell contributions are capped at $2,000 per student, each year. You can save much more in a 529. Generally, annual contributions to a 529 are tax free up to $14,000 when they become subject to the gift tax. Lifetime limits (set by the state) vary but are at least $300,000. The average 529 account balance was $21,383 at the end of 2016 -- a record high according to The College Savings Plans Network. Less than 3% of families used either a 529 or Coverdell in 2010, according to the GAO. There are many families who send their children to private school who aren't upper class, said Deborah Goodkin, Managing Director at NEST 529 College Savings Plan in Nebraska. "I think it's a terrific boost to anybody who feels they want an alternative to public school," she said. The right-leaning Heritage Foundation has advocated for expanding the use of 529s to include private K-12 education for years, as a way to help parents access more education options for their children. The tax-advantaged accounts arrived on the scene to help Americans save for college in the late 1980s. They are state operated accounts, but federal legislation signed by President George W. Bush in 2001 made the investment gains completely tax free (provided they are used for qualified education expenses once withdrawn). A spokeswoman for DeVos declined to comment for this story. But the Education Secretary told the Associated Press earlier this month that expanding 529s "is a common-sense reform that reflects the reality that we must begin to view education as an investment in individual students, not systems."